The DCS025 Deskew Calibration Source generates time-aligned voltage and current pulses for precise deskew of voltage and current probes.This is critical for measurements in which small propagation delay differences between probes can have a large impact on a calculated measurement, e.g., instantaneous power semiconductor device loss measurements. A voltage probe connects to the voltage pulse signal and ground connection and a current probe connects around the current pulse loop. Propagation delay differences between the two probes are then measured and manually deskewed by the operator using the Deskew adjustment in the oscilloscope’s Channel setup dialog. 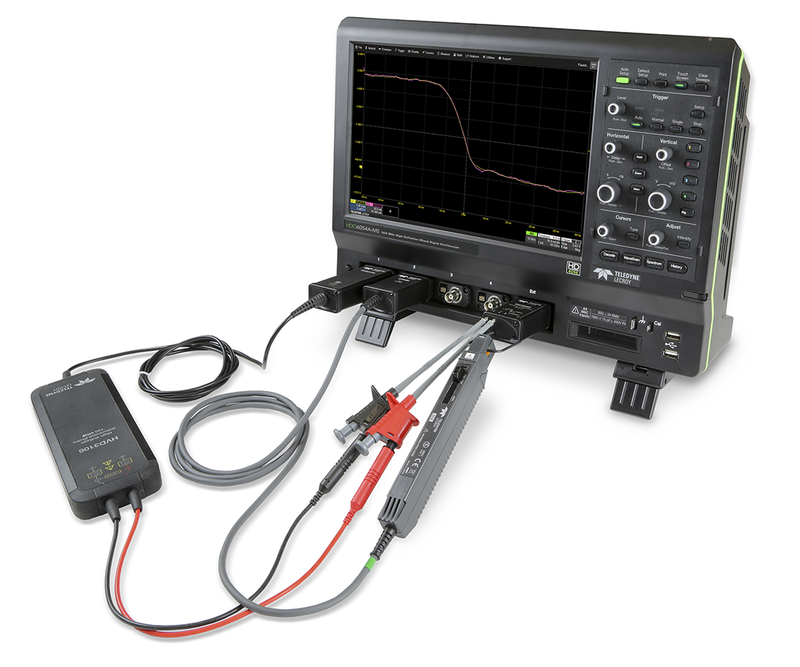 The DCS025 has a large current loop that is compatible with Teledyne LeCroy small (e.g., CP03x) and large sized current probes (e.g., CP150, CP500). 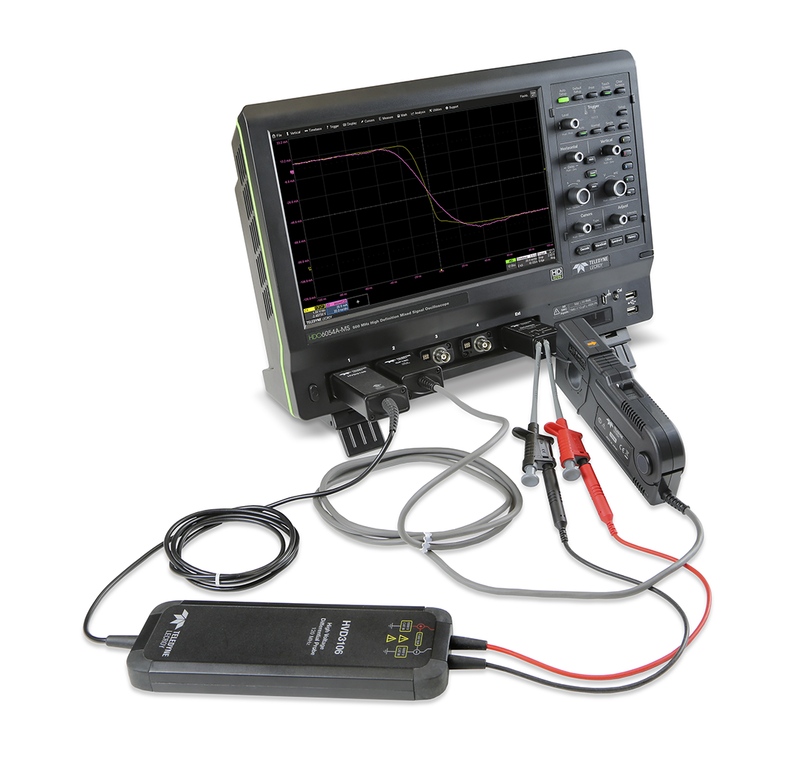 Channel acquisition averaging permits measurement of the output current amplitude with higher amperage current probes. 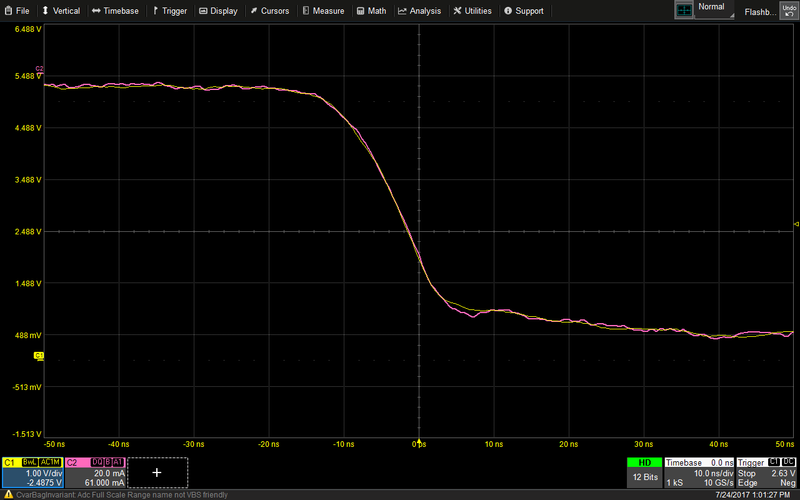 The internal static skew of the DCS025 is only 1 ns – well-matched to the rise times of the DCS025 and the probes commonly used for power semiconductor device loss measurements. 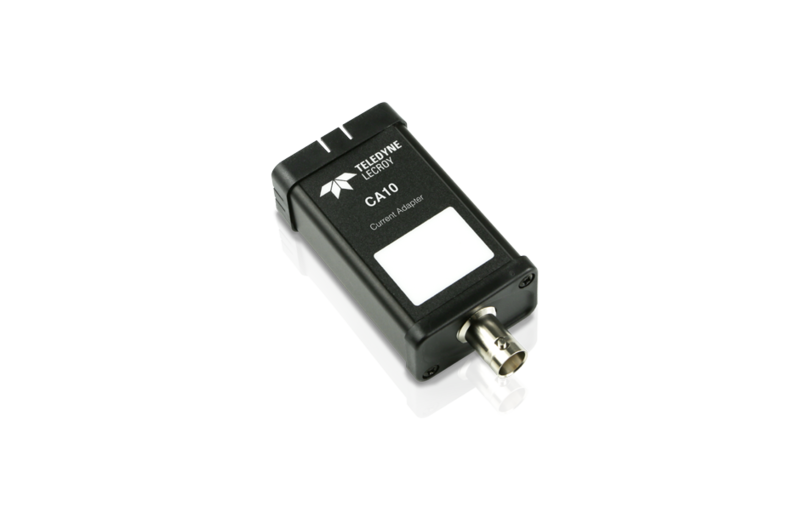 The DCS025 connects to the EXT input of the oscilloscope and outputs a trigger signal to simplify time alignment and deskew operations to the signal fall time at the center of the oscilloscope display.